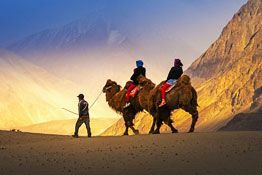 If you are a wildlife enthusiast then this 5 nights and 6 day wildlife tour of Ladakh is an excellent opportunity for you to spot some most exotic animal species roam freely in their natural habitat. 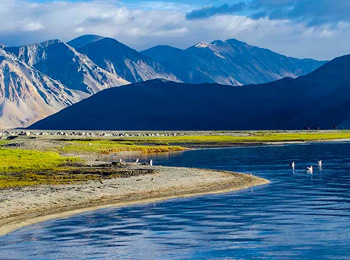 The tour starts with sightseeing of the city of Leh. Later, you will be able to spot various wild animals such as blue sheep, snow leopard, Tibetan argali, and many more. 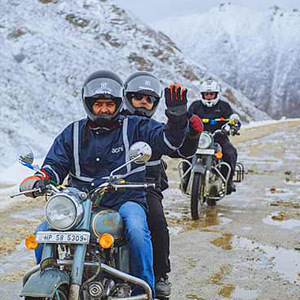 Spotting these exotic species in terrains, which in winters become inaccessible for human is a thrilling experience. 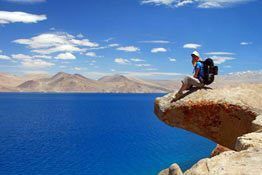 On the last day of the tour, enjoy trekking on the Stokla pass (4900m) and a visit to the Stok Palace. 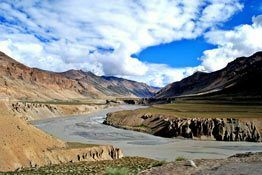 Arrive at the Leh airport where our tour representative will meet you for an assisted transfer to the hotel. Check -in to the hotel and relax. 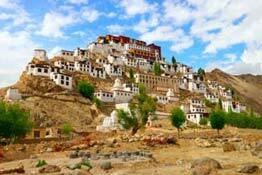 Post lunch, visit the Leh Market, the Leh Palace, the Hall of Fame and the Shanti Stupa. Overnight stay at the hotel. After breakfast, full day 2 is booked for sight seeing which includes visits to the Shey Palace, Thiksey and Hemis monasteries as well as the Stock Palace Museum. Return back to Leh in the evening. Overnight at the hotel. Post breakfast, hit the road for Phey Bridge. After crossing the bridge, walk to reach the Zingchen Gorge. En-route, you can spot signs of the snow leopard along the bottom of the side valleys during winters or early spring or fall. Arrive in Rumbak, by evening. Overnight stay at the hotel. Full day 4, after breakfast, proceed for full- day wildlife viewing. You will be accompanied by a local guide. You might spot various kinds of animals such as the great Tibetan sheep also called aragali, blue sheep, a Tibetan wolf, various migratory bird species, exquisite flora and if really lucky, a Snow leopard. Return to the hotel for an overnight halt. Start early for a trek up the Stokla pass (4900m- 3 hours), move towards the extreme left along the south facing hill. After one hour, you start climbing up to the pass. 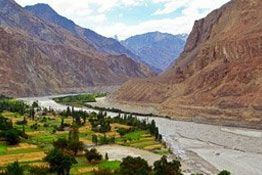 From here, you can get an amazing view of the Indus valley. Slide downwards to the Stok village. A visit to Stok Palace museum can be arranged. Later drive towards Leh. On arrival, check-into the hotel for an overnight stay.